The Dental Store (Schaumburg) - Book Appointment Online! 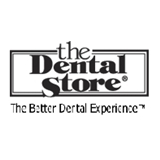 The Dental Store is a 2nd generation family run practice and have been serving the area for nearly 50 years. Our mission is to provide you the best quality dental care with the friendliest, neighbor like service. We are a team of general dentists & specialists at a state of the art facility ready to take care of your dental needs!